Few kids do not grow eagerly excited at Christmastime. Who doesn’t look forward to new toys, flashing lights, and festive family gatherings? But why is Christmas so important, and what do we celebrate at Advent? This lesson focuses on the hope and waiting of the first Christmas, and how it relates to hopeful anticipation of Christ’s Second Coming, as well. Waiting and waiting…this lesson opener is a simple test of patience. Show children a large and beautifully wrapped box, and explain that they will be able to open it and look inside. But first they will have to wait. Have children sit as still as possible for at least a minute (variable depending on age), without any movement or noise. Is it challenging? Why? Discuss briefly the struggle of patience. What kinds of things do we have to wait for? (Birthdays, visits from friends, special events, etc.). Why is it hard to wait? Allow children to unwrap the package, revealing its contents: a toothpick (or a cotton ball, twine; anything random and unexpected). Would this be an exciting Christmas present? Well, the expectations of Jews were not quite met at the first Christmas either. Explain that we will be discussing what those early believers were waiting for and how God surprised them. What are the best parts about Christmas? Why do we get excited about it? But why do we celebrate Christmas to begin with? What do you think people were awaiting in Jesus’ time? Remind students that for many years God’s people suffered, experiencing trials and oppression, slavery and fear. God sent prophets to give hope that a Messiah was on the way. Who were some of these messengers, and what did they say? Explain to students that they will be playing a matching game of sorts. Pass out passages from the Old Testament that describe what types of clues and indicators would precede the Messiah. Read and discuss each verse, posting on a wall as you go…then split students into pairs or groups (depending on time and size of the group) and provide them with a few New Testament verse references. Allow students to look up the New Testament verses and decide which prophecies they line up to. Then have them match the verses with the ones on the wall. *Note: for younger students, type out the New Testament verse also, or even read them out loud and work on matching as a whole group. After matching the verses, note a couple of things…Jesus came for everyone, and He clearly was who the people had waited for. But the people who claimed to “want” His presence most (church leaders, teachers) did not even accept Him! Perhaps He didn’t live up to all of their expectations. They wanted a conquering king, not a suffering servant. Sometimes we do the same thing. We want to make God what we want, rather than who He really is. We miss out on blessings He has to offer because we are waiting on something of our own design. We do not know when He will come again or what will happen then. And we needn’t live our lives focused on that and abandon all else. Jesus commands us to spread the good news about Him and tell others because we don’t know when the day will be. But we can live in joyful anticipation, recognizing that whether in our life time or after, we live for Jesus and He is the ultimate reason for everything. Merry Christmas! 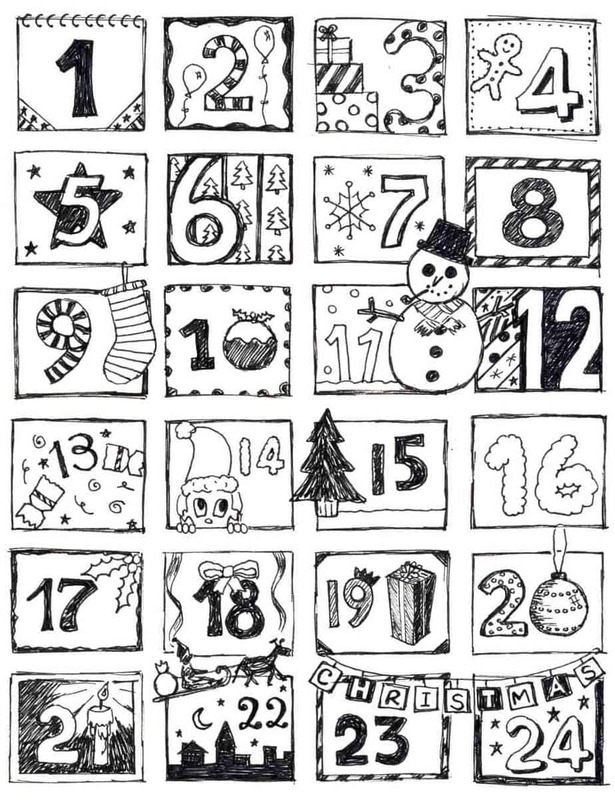 Craft: Advent Calendars (varying degrees of difficulty – click here to print the sample above). For younger students, this can be as simple as a red and green paper chain to count down days until Christmas. Or have students create a flap-lifting style calendar for the holidays: Place a piece of paper atop a large piece of cardboard. Cut 24 slits out of the paper and place tiny pictures, verses, or stickers inside. Close with prayer and reminder to trust and worship God…we are excited for Christmas, but even more excited for HIM. Let’s live our lives daily to honor and be thrilled with His blessings. Tony Kummer (Editor) reviewed & updated this page on : December 26, 2018 at 11:35 am. All our content is peer reviewed by our readers, simply leave a comment on any post suggest an update.